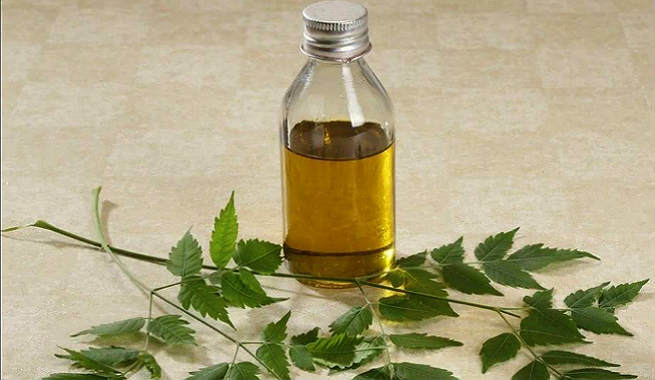 Why Use Neem For Dandruff? Since the ancient times, the neem (Azadirachta Indica) tree has been known for its great medicinal qualities. Be it severe ailments or mild skin problems, neem can come to our rescue always. Almost all parts of this tree are beneficial for our internal as well as external health, but it neem leaves that can help us get rid of dandruff effectively. Both fresh and dried leaves of the tree have amazing anti-microbial, antifungal, antiviral, antiseptic, and anti-inflammatory properties, which address the root causes of dandruff and improve the health of our scalp. Being rich in antioxidant vitamin C, it also works as a natural blood purifier that cleanses the body from inside and makes the scalp as well as hair healthy. 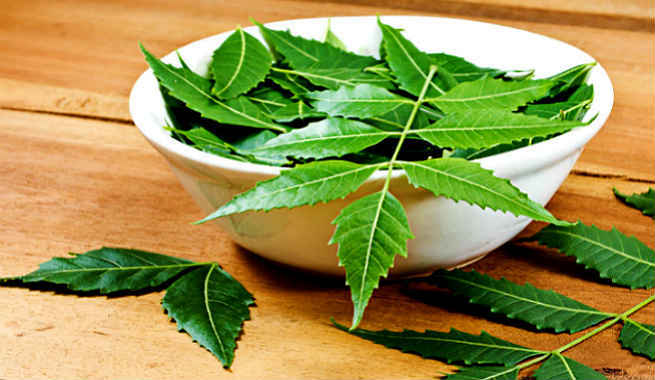 Neem Rinse: Take water in a large pan and add a handful of fresh neem leaves to it. Start boiling the mixture. Once the infusion turns greenish in color, remove the pan from the heat, discard the leaves, and allow the mixture to cool down. Use it as a final rinse for your hair after shampooing thoroughly. You may also soak neem leaves in hot water overnight and rinse your hair with the strained liquid in the morning. 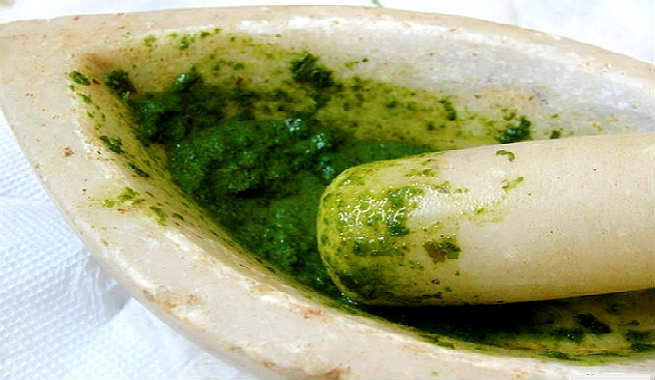 Neem Paste: Make a smooth and fine paste by grinding some fresh neem leaves with a splash of hot water. Apply it to your scalp from as well as hair. Make sure that each of your hair strands is covered with it from root to tip. Wait for 2 hours and then, rinse off with a mild shampoo. Neem Powder: Dry two handfuls of fresh neem leaves under the sun. Crush the dried leaves into a fine powder and make a paste out of it by adding some lukewarm water. Apply it thoroughly, give a standing time of 1 hour and then, wash off with a shampoo. Pour 2 cups of pure coconut oil into a pan and add a handful of fresh neem leaves to it. Bring the entire thing to a boil and. Squeeze the juice of a lemon into it. Also, add 1 tablespoon of castor oil. Boil for 5 more minutes and then, strain the liquid. Warm up the oil a little and massage into your scalp for 15-20 minutes. 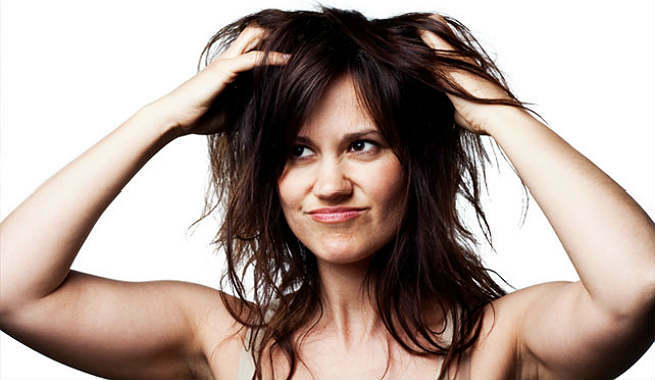 Wash your hair after an hour with tepid water. Practice it at least twice every week. Blend 1 tablespoon of pure olive oil with 1 tablespoon of neem oil and apply all over your scalp. Rinse off with lukewarm water after 20 minutes. Prepare a mixture by mixing neem oil, tea tree essential oil, and rosemary essential oil in equal quantities. Apply it to your scalp, and shampoo after 1-2 hours. Boil some fresh neem leaves, grind them into a fine paste, and add some pure raw honey to it. Apply the paste all over your scalp and hair. Soak some fenugreek seeds overnight. Add some fresh neem leaves to them and make a smooth paste. Apply it to your scalp and let it sit for an hour. You can also add some curd to this mask. Soften a handful of neem leaves by soaking them in water for 10 minutes. Make a paste and add fresh aloe vera gel to it. Your mask is ready. Grind some neem leaves by adding a little water to them. Add multani mitti and wait until it becomes soft. Mix them together to form a smooth paste. Use it as a hair mask. Forget commercial anti-dandruff shampoo. These simple neem remedies will cure your dandruff so effectively that you will fall in love with them. Just give a try and see the magic!